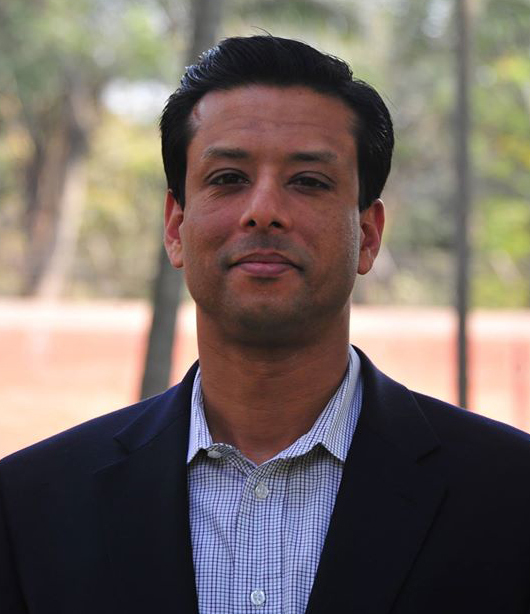 Sajeeb Wazed, is a ICT Consultant and political campaigner. He is the son of Sheikh Hasina, the Honorable Prime Minister, Government of the People’s Republic of Bangladesh, and the eldest grandson of Sheikh Mujibur Rahman, the first President of Bangladesh. A member of the Awami League, He was a key figure in formulating the party's vision 2021 manifesto. He is currently serving as the Honorable Prime Minister’s Information and Communication Technology Affairs Adviser. Sajeeb Wazed graduated with a B.Sc. in Computer Engineering from the University of Texas at Arlington in the United States and attended the Kennedy School of Government at Harvard University, where he earned his Masters in Public Administration degree. In 2007, Sajeeb Wazed was selected by the World Economic Forum in Davos as one of the "250 Young Global Leaders of the World". The forum cited his role as Advisor to the President of the Bangladesh Awami League.On 25 February 2009, Sajeeb Wazed officially joined the Awami League as a primary member of the Rangpur district unit of the party. Within days of joining the Awami League as a primary member, Sajeeb Wazed, in his capacity as an IT policy analyst, unveiled the concept paper and action plan for the government's ambitious "Digital Bangladesh" scheme; to develop a strong ICT industry in Bangladesh and initiate e-governance and IT education on a mass scale.